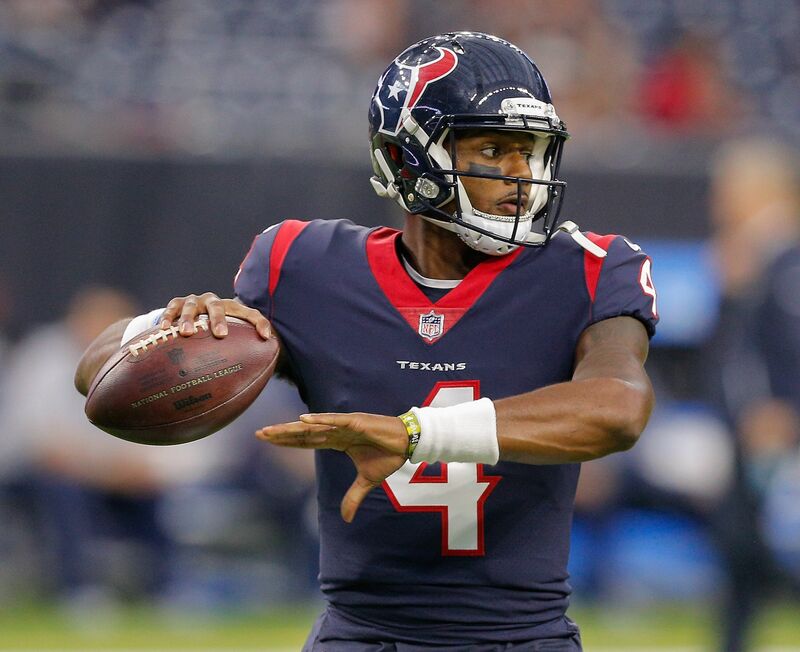 Houston Texans rookie quarterback Deshaun Watson put together an impressive highlight reel with his latest rushing touchdown. The starting quarterback job is up for grabs in Houston, and Deshaun Watson is doing his best to win it. In tonight’s preseason game against the New England Patriots, Watson showed off some impressive moves. Off of a bootleg that was sniffed out by Patriots linebacker Trevor Bates, Watson shook him off and cut back inside for the touchdown. These kind of moves are exactly why Watson was selected 12th overall in the 2017 NFL Draft. Watson has had his struggles throwing the ball this preseason, but has been nothing short of impressive on the ground. He’s not making the quarterback decision for Bill O’Brien easy by any means. Watson’s dual threat element is something the Houston Texans have not had at the quarterback position. It certainly didn’t come with the likes of Brock Osweilier, Ryan Mallett or Matt Schaub. Having the ability to beat a team through the air as well as get out of the pocket for big gains proves to be a deadly combination. If Watson can clean up the accuracy and continue to show off his wheels, he’s got a legitimate shot at being the starter week one. As good as the Texans defense is, they need just average at best quarterback play this season. Watson can certainly do that. If there’s any rookie quarterback that’s mature enough to start, it’s him. A three-year starter at Clemson, we’ve seen him play in all of the big games, including back-to-back National Championships. Of course the starting job won’t come easy, as Tom Savage also had himself an impressive performance. He finished the night 8-of-9 for 98 yards with a touchdown and a 149.1 passer rating. This will be a quarterback battle that will likely come down to the final preseason game, and we can’t wait to see how it plays out. Hopefully it involves more Deshaun Watson touchdowns like this one.